A great education begins with a great kindergarten experience. The difference between success & failure is the difference between doing exactly right and almost right. 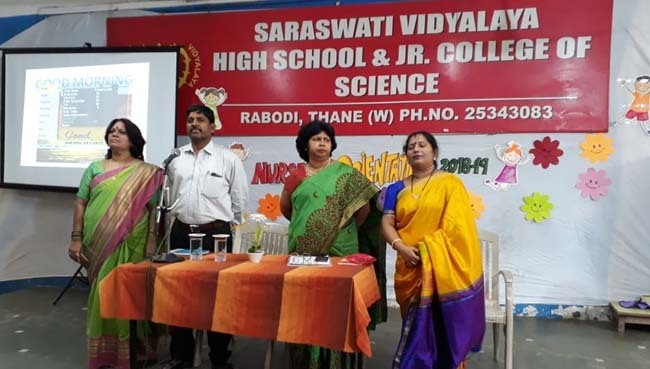 Reaffirming our commitment to the concept of providing quality education, within the landscape of cultural and socio-economic diversity from which children enter the portals of e-schools Saraswati Vidyalaya High School & Junior College, Thane organized an orientation programme for the parents of the 1st batch of nursery for the academic year 2018-19 as well as Jr. Kg batch for the academic year 2018-19. 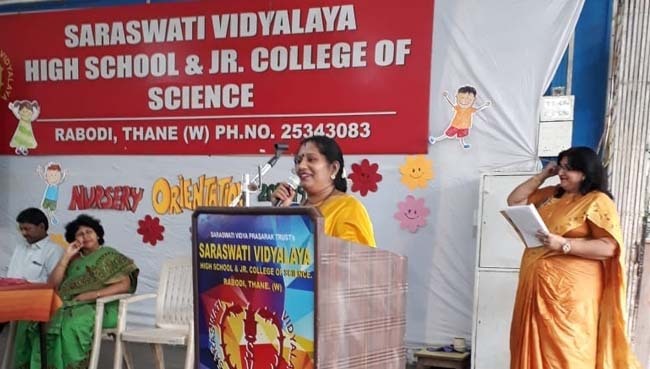 The programme started with the school song, followed by a welcome to the parents by Mrs. Jyoti Kapoor. 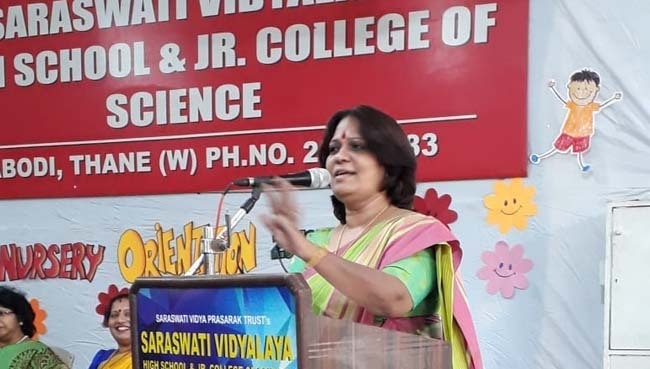 The school vice Principal Mrs. Manju Mishra in her welcome address made the gathering aware of the changing scenario in education, the culture and working atmosphere of the school. 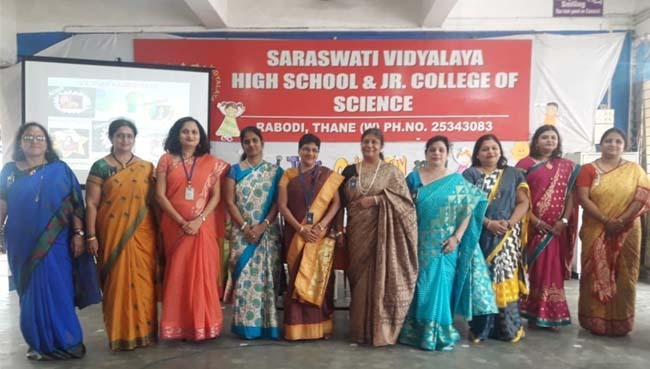 The principal, Mrs. Anita Pinto addressed the parents so giving a detailed update on the progress and also shared the yearly curriculum, process and plan book for the year. 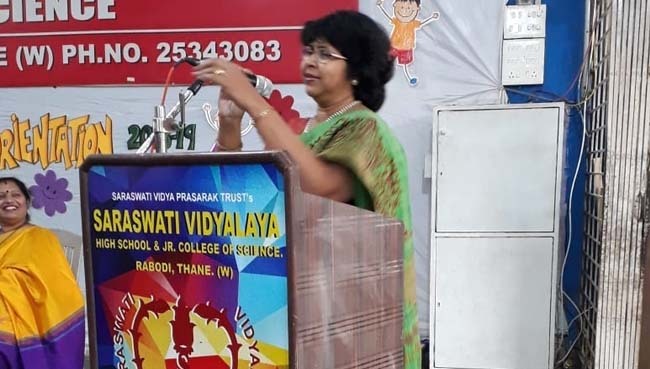 She later emphasized on upon the pivotal role played by parents in the upbringing of children and in helping them to tide over the cares and concerns related to childhood. The vote of thanks was given by the school coordinator Mr. Meenakshi Bangera who addresses the parents by giving them the strategies, resources and all the support necessary to make early learning activity and play a priority in the home to prepare the child for a fun and successful first year in school.